Expand access to quality, child-centered education through a network of public and community-based Montessori schools. Montessori Partnerships for Georgia is founded in deep respect for the power and potential of every child. In making decisions, we hold the highest interests of the child in mind. We embrace challenges as opportunities. We work by building connections among people and organizations, leveraging each one’s strengths to build synergy and momentum. We are an inclusive community, celebrating the ways our differences enrich our work. Through relationship-building and deep listening, we face the issues of race, class and inequity that pervade our culture, so that they may be transformed through our shared work. Annie Frazer has a passion for expanding access to high-quality Montessori education. 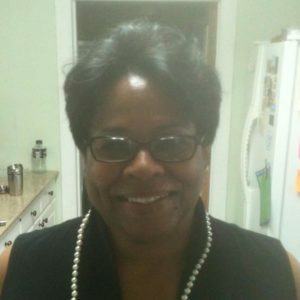 She attended Montessori schools through age twelve and graduated from Grady High School in the Atlanta Public Schools. 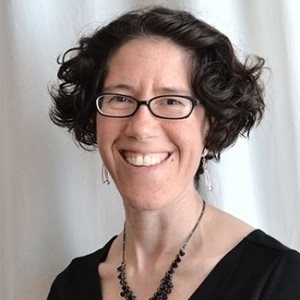 She holds a BA in English and theater from Oberlin College, an MA in education from Stanford University, an AMI Montessori elementary diploma from the Bergamo Montessori Training Centre, and AMI Montessori certification at the adolescent level. 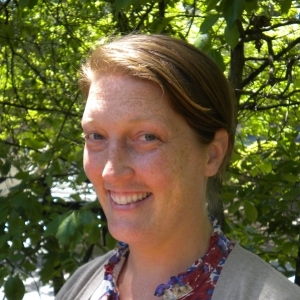 Annie has ten years of experience as a Montessori adolescent teacher and administrator at Arbor Montessori School in Atlanta and has worked as a middle school teacher in DeKalb County Schools. In the summers, she serves on the faculty of the AMI Montessori Orientation to Adolescent Studies. Jennifer Dorrell is a transplant from Jackson, Michigan and Toledo, Ohio and has lived in Georgia for 20 years. She has a Bachelor of Science in mechanical engineering and a Montessori EL I-II credential from AMS. She has taught in both lower and upper elementary classes for the last 18 years. Married to Dave for 27 years, she has three adult children. 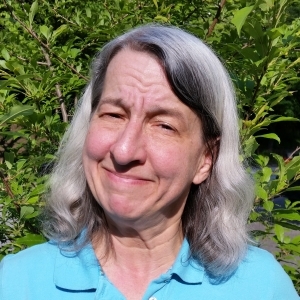 She is active as a volunteer at Bridging the Gap and Backstreet Arts in Newnan, and has directed, performed, stage-managed, and otherwise participated in loads of theatrical productions in and around Atlanta. Jaimie Holt is a former Montessori student, having attended Arbor Montessori’s middle school after moving to Atlanta as a Hurricane Katrina victim. Jaimie works as an auditor based out of the Atlanta office of Ernst & Young, performing financial statement audits for various public and private companies. 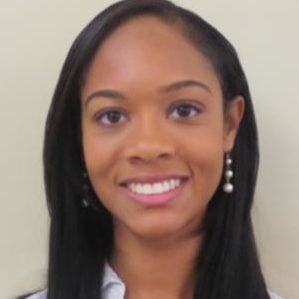 She graduated from the University of Alabama at Birmingham in August 2015, receiving a Bachelor of Science in Accounting with honors, and received her Master of Science in Accounting with a Certificate in Forensic Accounting from George Mason University in August 2016. In September 2016, she successfully completed the Uniform CPA Examination, with licensure expected in October 2017. 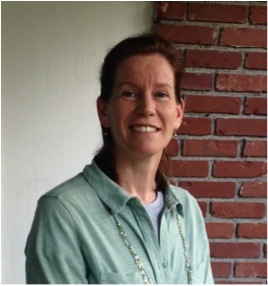 Erin Littles is a Montessori-educated parent who has two children in Montessori at Briar Vista Elementary. Erin's love for community started young, when she would spend weekends with her father registering voters and getting community petitions signed. These early experiences have framed who she is today, and she has turned that love for community into a career working with educational non-profits. She's spent the last twelve years creating and managing national service programs under the Corporation for National and Community Service. These experiences have allowed her to master a number of skills including program development and volunteer management. Erin believes that all students have the ability to learn and be successful in the right environment. Pamela Baumbarger is excited to assist in making Montessori more accessible, particularly for the youngest children and their families. As the founder of the first AMI certified toddler community in the Atlanta area, she has been working with infants, toddlers and the adults who guide them for the past fifteen years. Currently, she is the organizer of the Atlanta A to I Group, a grassroots organization for teachers of birth to three Montessori, as well as a classroom teacher at Northwoods Montessori. She also trained as a birth doula through DONA, and is an Art of Childbirth educator. She spent several years as an adjunct professor for Athens Technical College’s early childhood education program, and has recently been accepted as a trainee for AMI’s Training of Trainers program. Mark Berger has been working in Montessori education since 1988. Trained as an AMI primary teacher, he went on to develop a Montessori school in Toronto, Canada through the middle-school level prior to leaving in 2002. The father of a fifteen-year-old daughter and a twenty-one-year-old stepson, Mark is a passionate advocate for children in and out of his Montessori work. He has been involved with the Montessori movement in various ways throughout his career, including as a founding director of the Montessori Society of Canada and of the Montessori Administrators Association (MAA) in the US. 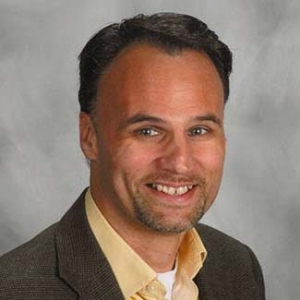 Since 2005 he has been the head of school at Montessori schools in Charlotte, North Carolina; Corvallis, Oregon; Lake Forest, Illinois; and Atlanta. As an education blogger, speaker and general advocate, he continues to play an active role in the Montessori community. Joen Bettmann, director of training for the International Montessori Training Institute, has nearly forty years of Montessori experience. She has had extensive classroom experience in both private and public Montessori schools, especially in central city locations. 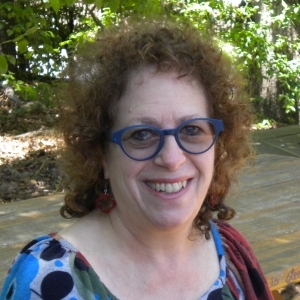 As a primary (ages 3-6) trainer, examiner, and consultant with the Association Montessori Internationale (AMI), she has trained Montessori teachers in locations across the United States and in countries ranging from Australia to South Africa to Israel. 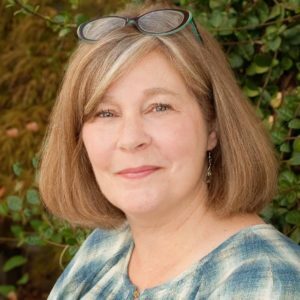 She directed five primary courses through the Montessori Institute of Atlanta and has been the director of training for the International Montessori Training Institute in Atlanta since 2011. She also serves as an adjunct professor at Loyola College in Baltimore, Maryland and sits on the Trainers’ Group Committee for AMI. Joen frequently speaks at international Montessori conferences and has published articles in AMI Communications and the NAMTA Journal. She holds a B.A. in sociology and psychology and an M.Ed. in Montessori education. 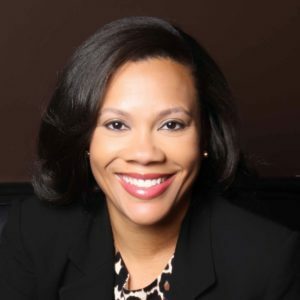 Renee Carter-Woods began her professional life as a young advertising executive in New York City after graduating from Rutgers University in New Jersey. As much as she enjoyed many elements of the advertising world, Renee yearned to build a lifestyle around the values that defined her childhood, and she decided to become a teacher. In 1996 she enrolled in Georgia State University’s College of Education, where she earned her master's degree in early childhood education. 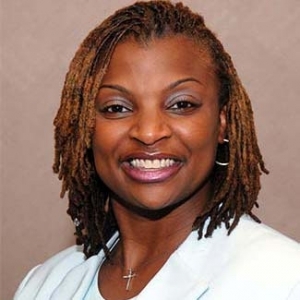 Equally important, she was then led on a path to receiving Montessori training through the Dekalb County School District, where she has spent the last seventeen years empowering children as a Montessori upper elementary teacher in arguably the state system’s most diverse school district. Renee currently resides in Atlanta with her devoted husband, Jay and remarkable cat, Oney Judge. 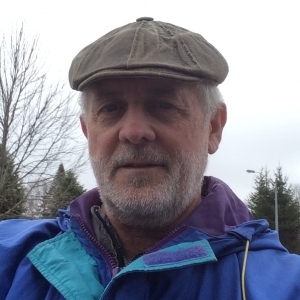 Wayne Flindall has completed AMI Montessori training at the primary and elementary levels and has over twenty years of teaching experience. 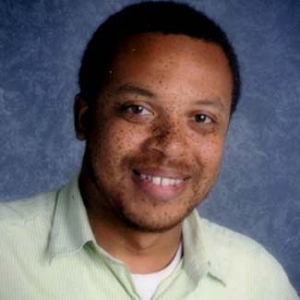 In addition, he has ten years’ experience as the Montessori field specialist for the DeKalb County Schools in metro Atlanta, supporting Montessori programs in three public elementary schools. Wayne has two daughters and three grandchildren in Canada. His daughters attended Montessori schools from age three. Wayne would very much like to make possible a quality Montessori approach for children at all income levels. Myesha Green’s early experience as a Montessori student set the stage for her later commitment to early childhood education. After earning her Ph.D. in immunology and molecular pathogenesis at Emory University, Myesha realized that her passion lay in working with young children and went back to school to earn her AMI diploma. She has taught for eight years in Arbor Montessori School’s all-day primary class. 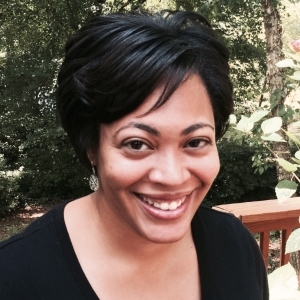 Besides her Ph.D. from Emory, Myesha holds an M.Ed from Loyola University and a B.S. from Hampton University. Danielle James looks forward to sharing and growing her knowledge about high-quality Montessori education. She attended Montessori school through age six and graduated from Lassiter High School in the Cobb County Public School system. She holds a BA in anthropology from the University of Georgia, an MA in Montessori education from Loyola University, and an AMI Montessori primary diploma from the International Montessori Training Institute. Danielle has experience as a high school educator in the public school system and has worked in toddler programs in the Atlanta area. She is currently the course assistant at the International Montessori Training Institute in Atlanta. 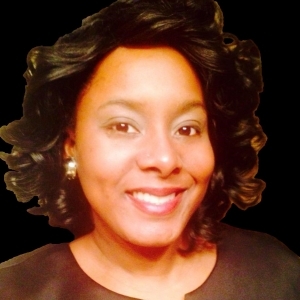 KieAnna C. Jones is a dynamic and talented educator who works to reach children of all ages and socioeconomic backgrounds, facilitating their desire to learn and providing them the tools necessary to build strong cognitive skills. KieAnna began her journey into teaching in 2012 by becoming a hands-on science instructor for Big Thinkers Science Exploration, Inc. Recognizing that education was her passion, KieAnna continued her journey in education at Preston Ridge Montessori, where she was introduced to Montessori education. In 2014, she entered the International Montessori Training Institute to receive her Masters of Education with a concentration in primary Montessori education. It is her desire to become an advocate for Montessori education, working to make the benefits of Montessori teaching available to all students. Anne Ledoux has been an AMI Primary Lead Guide for 10 years. She recognized the power and potential of a Montessori education after enrolling her son in a local Montessori school. She is committed to spreading the word about quality Montessori education and is excited to be working with Montessori Partnerships for Georgia. Anne holds a M.Ed. from Loyola University and a B.A. in sociology from the University of Maryland. She is excited to be heading up Montessori Partnerships for Georgia’s Practical Life Savers initiative. Kathy Pratt is very excited to be working on the issue of access to high-quality Montessori. She received her AMI certification at the primary level in 2010 and recently received her MA in Montessori education from Loyola University in Maryland. She also holds a bachelor of business administration from Georgia State University with a major in general management. She has over five years of experience in Montessori primary classrooms and is in her third year as a lead guide (teacher). She is also nidan (second degree black belt) in Aikido under Kennedy Shihan at the Aikido Center of Atlanta. It was through teaching children Aikido that Kathy discovered her vocation to teach. Reverend Melva L. Sampson is a scholar, writer, public theologian and an ordained minister. 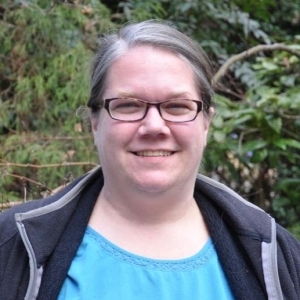 Having earned a Master of Divinity as a Dean’s Award Recipient from Candler School of Theology at Emory University, she is now a doctoral candidate in the Person Community and Religious Life program of the Graduate Division of Religion at Emory. Melva is a seasoned non-profit program administrator and small group facilitator specializing in vocational discernment and issue-based programming. A critical thinker and powerful preacher, she has published sermons including “After Katrina and Rita: What Must I do to be Saved?” which appears in The Sky is Crying: Race, Class and Natural Disaster and “Hell No!” which appears in the final volume of Those Preaching Women: A Multicultural Collection. Melva seeks to identify the non-vocal/nonverbal rhetorical strategies black preaching women deploy to combat the devaluation of black life. She received a Master of Arts degree in Human Communication Studies from Howard University in Washington, DC and a Bachelor of Arts degree in History and Political Science from Virginia Union University in Richmond, VA. Melva and her spouse Darrick are the proud parents of Jayden Christian, Frii (F-R-E-E) Nafisah-Joi and Phoenix Imani-Rose. Darrick T. Young is an experienced business and real estate developer and a partner at One Touch Holding, a real estate development and management company. Darrick’s creative genius and business acumen reveal his proven ability to build and manage strategic value relationships. With his solid knowledge of business start-up and expansion, Darrick has developed businesses with specific foci in real estate, international import and export, urban and corporate promotions, public relations and graphic arts, food and beverage and urban entertainment. Prior to joining One Touch, Darrick was principal partner of Creative Solutions Development Group, where he assisted small businesses with capital acquisition via boutique investment banking. He earned a Bachelor of Business Administration from Howard University in Washington, DC and a Master of Business Administration from Fontbonne University in St. Louis, Missouri.